Shree Flameproof Industries Pvt. Ltd is a having global exposure as manufacturer and suppliers of electrical equipment with all approved certificate like ATEX/BIS/CMRI/IEEE. As headquarter is in economic capital of India, located in Mumbai and branches at PAN India. Shree had started operation in the field Since 1999 successfully offering turnkey project services in the field of Electrical, Automation, Instrumentation, HVAC, Enery Saving and Control with qualified & experience working team with solid technical background. Shree is also actively manufactures & suppliers of the spares & components required in these field aiding customers to choose right components and spares for their systems. With the core strength Technical division and regular R & D department successfully invent some new product which is helpful in now a days for the safety in hazard condition. According to customer requirement with safety measures & close working with their regular assistance has helped Shree to establish a very good relation with the end users. Due to this trust Shree is observing repeat business transaction from many of them. 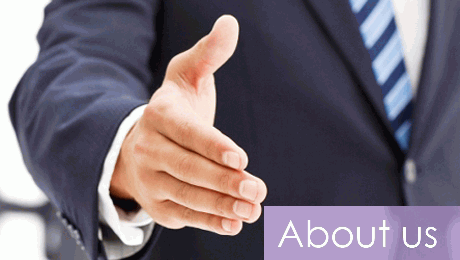 Shree has a proven track record for the projects executed through various areas & industries globally. Shree has already found a distinguishing place in today's competitive market & expanding its services in turnkey projects and products in the areas of further available opportunities in market. Shree manufactures electrical equipment, maritime lighting products. The product range includes, for example, switchgears, light fittings, glands, enclosures sockets, cable glands, junction boxes, control panel and switches, completed by digital technology. Shree operates its own research and development facilities and production plants next-door at its headquarters in Mumbai and has a global network of representatives and subsidiaries who ensure a quick and effective on-site customer service. We are Offering High Quality of Flameproof Control Panels in Various Specification for Hazardous Area. These Flameproof Control Panels are widely known for its durability and quality. Our Flameproof Control Panels can be availed at industrial leading price. We are supply Customized control panel as per customer require.Shree is backed with solid infrastructure, quality manpower with intensity of aspiration & backed with all renown certificates. Shree has track record of flawless manufacturing product with safety measures. As we are taking care of every safety measures which keeps customers rest assures about their safety. To be an acknowledged leader Globally in Flameproof Control panel & electrical equipment industry by exceeding customers’ expectations and maximizing bottom line for all our partners. Copyright 2017 SHREE FLAMEPROOF INDUSTRIES PVT LTD.